E-mails have been sent to each winner! Thanks to all those who entered and don't forget to enter current giveaways and subscribe to be one of the first to know about new giveaways coming soon! 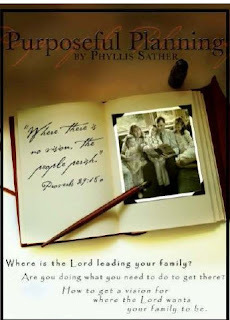 Phyllis Sather, a mother, a wife and a person with a deep Christian belief, has this thought provoking bundle titled Purposeful Planning. This great resource starts with an eBook titled Purposeful Planning which encompasses how she became interested in this idea to share her wealth of knowledge. During a very heightened moment in Phyllis' life, her husband, Daniel, swept her away reluctantly for the weekend to discuss their goals and plans as a family. This concept was completely foreign to me as most people take a vacation and never really dive into such discussions as goals and plans. When Phyllis contacted me to sponsor this review and giveaway, it really interested me mostly because I am on a spiritual path to learn more about the Lord and of course, my family wouldn't suffer from learning how to incorporate the Lord's teachings into our lives. Purposeful Planning is divided into sections that provides the reader with the "how to" figure out a plan for your family along with the tools that might help achieving that goal. 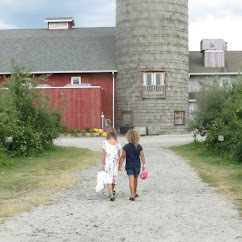 The beauty of the book allows a couple to experience this path together or with children when applicable. Phyllis does a great idea explaining their difficulties with incorporating this idea into their lives and reading how they overcame their obstacles really did add to the value of the book. Every detail is outlined to help the reader move forward such as the initial planning of starting your first goal session weekend. Will you take the children? There are many other questions that helps to put forward a plan that will work. Phyllis presses upon the importance of praying and uses passages from the Bible to reinforce the importance of incorporating the Lord into our lives. I also enjoyed the section written by Dan to fathers and grandfathers. He understands the role of the father and the viewpoint they may struggle with and encourages him to step up and be an active part in this process. This bundle series includes the Purposeful Planning Handbook which is also broken into many titles. The handbook allows the reader to plan accordingly which will provide greater results. Whether you want to tackle all of the subjects or not, there are recommendations and help provided from a variety of topics from the children, each other, the marriage, finances and more. There are helpful resource links in both the eBook and handbook to assist the reader on their endeavor. A big impact on me also was the section titled Discretionary Time. So many times, people spend their times watching television or surfing the net without devoting time to the family. They are not advocating a complete surrendering of your time but encourages finding time for family activities. This is key to a happy family. One of the things my family does is to have "Family Night" once a month. This is where all of us gather, cook dinner and play games or watch a family oriented movie. This has become a favorite of my six year old and hope we continue it to where it becomes a family tradition when they have children. The bundle wraps up with an MP3 opportunity to listen as well as read. This is for those that have a commute to work or some other opportunity to listen instead of reading. I love this option as often times, I listen to something prior to going to sleep as a calming activity as well as something for me. Overall, this is a great collection or even by itself to help families find the path for the future. It lays the groundwork in helping families put forth the time necessary to plan and put the Lord into our lives. Having goals is essential for any type of growth and anyone can have goals but you can't have goals until you figure them out! Phyllis also has a ton of resources on her website so please check it out! Three readers will receive the bundle set of Phyllis' Purposeful Planning. Follow my blog and go to Purposeful Planning and telling me something about Phyllis you didn't know. Sign up for Phyllis' updates here. Giveaway ends 2/14 at midnight. Winners will be chosen by random.org. Phyllis is a grandmother and great grandmother as well. 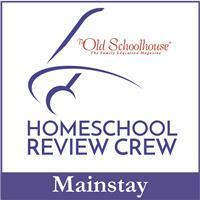 She has home schooled her children for the past 17 years. She has home schooled her children. Phyllis is a mother of 5 children and also a great grandmother! Thanks for the chance! This sounds like it would be an amazing bundle that my husband and I could really use right now. Signed up for e-mail updates from Phyllis. She has been a stay at home mom for 22 years after retiring from a management position, and a homeschool mom for 17 years. I signed up for Phyllis' updates.